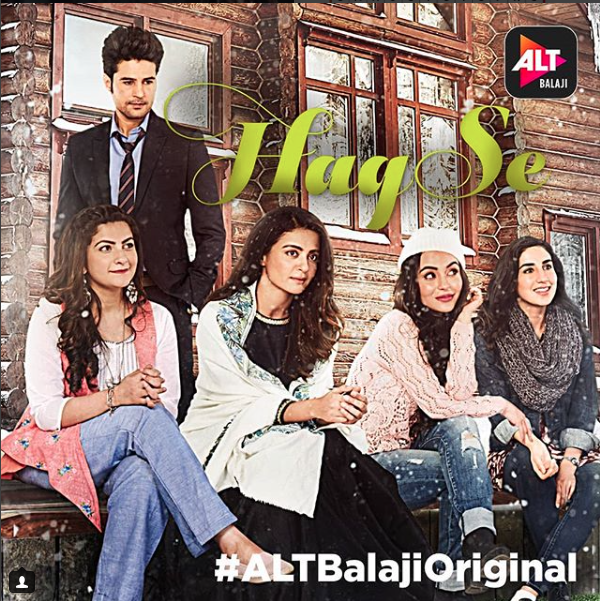 Alt Balaji’s next digital series Haq Se starring Rajeev Khandelwal and Surveen Chawla is all set to go online worldwide in early 2018. Inspired from Louisa May Alcott’s bestselling novel Little Women, the digital series has been in the making for the past 2 years! The makers of the series Manor Rama Pictures wanted to give the series a larger than life film like treatment. “Ekta being a dear friend, together we decided to collaborate on Haq Se, based on Louisa May Alcott’s classic novel Little Women. Considering, the modern feel attached to the story, we needed to Indianise it so that it could appeal to the masses,” said Karan Raj Kohli, co-founder, Manor Rama Pictures. Having worked on television pilots before for channels like Star TV and Door Darshan, the founders of Manor Rama Pictures, Karan Raj Kohli and Viraj Kapur will be making their digital debut with Haq Se. At Manor Rama – the House of Lord Ram – they are fiercely committed to the ideals of integrity, sincerity, and professionalism in all their endeavours. While they pull no punches in their productions and are unabashed in their panache, they don’t succumb to hype or vulgar sensationalism. They are devoted to the highest objective – their craft – the telling of stories truer than truth.